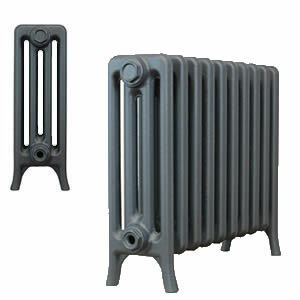 Queens 4 column Cast Iron Radiators 20 inch high or 480mm 40% off the RRP for a limited time only.. 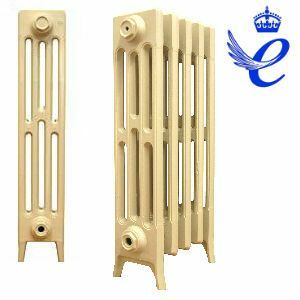 This new series of traditional cast iron radiators have been developed in celebration of us winning the Queens Award for Enterprise in 2018. Our cast iron radiators can be found in many of the countries best known properties including several Royal properties and we decided to mark this key milestone in our companies history with a new series of traditional radiators. The Queens 4 Column radiators are a new take on many of the UK's most popular radiators - they are exclusive to Cast Iron Radiators Ltd of North Yorkshire - the only radiator manufacturer to have received the Queens Award for Enterprise. 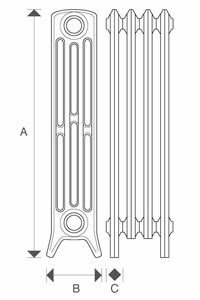 Four Column Queens Cast Iron Radiators are available in several heights and have been developed in association with one of the worlds most advanced foundries. 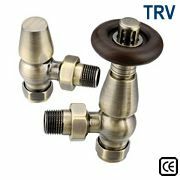 The wall thickness on this model exceeds any other 4 column cast iron radiator and we are so pleased with both the quality and our original design, each section features our CIR mark of excellence.